Helm: The makers of this film know nothing of real vampires or werewolves. Mathew: It's not about that, Helm. It's deeper than that. Helm: It did not seem tremendously deep to me. Mathew: Dude. You don't know what you're talking about. First thing is, you haven't read any of the books and you talked all through the first two movies on DVD. Helm: I could not make myself finish the first book. And I found the first two movies poorly plotted and paced. Mathew: Look, don't diss the Twilight Saga. There's all kinds of really powerful metaphoric stuff going on here that you can't comprehend because you're just a helmet. Helm: You are treading dangerously close to psychic attack, Mathew. Mathew: Sorry. But, the thing is, the Twilight series uses vampires and werewolves as a means of expressing different aspects of love and desire. They're not meant to be taken literally, they're symbolic. Helm: The last werewolf we faced was not symbolic. He nearly tore your throat out. Mathew: Yes, okay. I get that you don't like to see monsters portrayed in a sympathetic light. I get that. I do. But, and this is important, most people don't fight monsters the way we do. For them, this is just entertainment. And all I'm saying is that Eclipse was actually pretty good entertainment. Helm: I will grant you that it was better than the first two. Where they were scattered and aimless, this entry at least seemed focused and engaging. Mathew: I don't like that you're being so harsh on the first two, but I agree that this one was the best yet. Well paced, a good mix of horror, humor and drama with just the right amount of romance. Mathew: I think the director, David Slade, brought a deft hand to the project. He's got the horror chops needed to kick the franchise up a notch. Helm: I liked his other film, 30 Days of Night. That was more like what vampires are like. Mathew: Okay, apples to oranges, Helm. 30 Days of Night is straight up horror. This is way deeper. More powerful on a number of levels. Helm: I think we can both agree that this movie appealed to you because you are an empty-headed-teenage-girl of a man who enjoys seeing shirtless, muscle-bound teenage boys to a suspicious degree. Mathew: You've always got to turn it into some negative thing about me, don't you? Look, I thought Taylor Lautner's performance as Jacob was one of the standouts in the film, but that's where my appreciation ends. Helm: That harlot you call your girlfriend certainly seemed to appreciate more than his performance. Mathew: Leave Jill out of this, Helm. Two & a Half Flaming Swords. 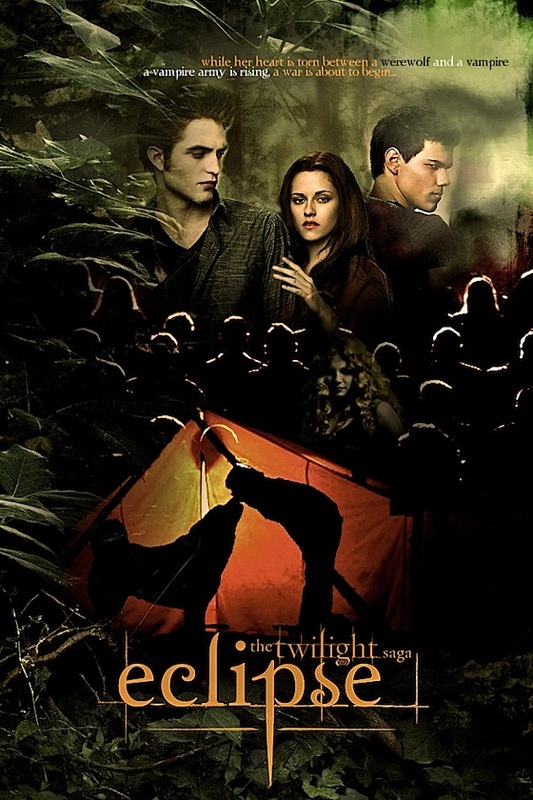 Mathew: You have to admit that this was the best Twilight film yet. Helm: You have to adimt that you are a prancing dandy.